Janet Buchholz, age 71, of Aurora, passed away Wednesday, March 15, 2017, at Memorial Hospital. Funeral Services will be held at 11:00 A.M. Monday, March 20th, at the Aurora United Methodist Church. Rev. Ron Harris will officiate. Visitation will be from 5 - 7 P.M. Sunday, at Higby-McQuiston Mortuary. Condolences may be e-mailed to the family through the mortuary website at www.higbymortuary.com. Memorials may be made to the United Methodist Women. 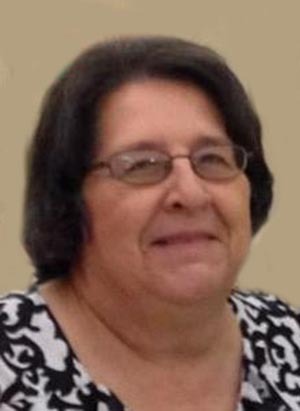 Janet Marie Buchholz, the daughter of Edmund and Gladys (Robison) Moravec, was born at Manitowoc, Wisconsin, on June 4, 1945, and passed away in Aurora, Nebraska on March 15, 2017, at the age of 71. She moved to rural Seward at the age of 4, and attended her first 8 years of school at District 87, and graduated from Seward High School in 1963. After high school she completed a cosmetology apprenticeship with Lucille Duer and worked as a beautician until 1969. The rest of her professional career she worked as an accountant and bookkeeper while completing her degree from UNK. Janet was united in marriage to Dennis Buchholz on August 21, 1965, and following their divorce they were remarried on August 21st, 1987. Janet was a member of the Aurora United Methodist Church. She enjoyed crafts, quilting, and spending time with her family. She was a former member of the Seward Mrs. Jaycees. She was preceded in death by her parents, Father in-law Arthur Buchholz, Mother in-law, Cecil Buchholz, a sister Kathy Moravec, a brother Daniel Moravec and a Brother in-law Don Buchholz. Those left to cherish her memory are her husband, Dennis ”Buck” of Aurora; children and spouses, Brian (Lisa) Buchholz of York, Sandi (Vince) Costanzo of Omaha, Kristi (Brett) Layman of Lincoln, Rob (Holly) Jensen and Ang (Jeff) Jensen of Aurora; Grandchildren, Jessica (Anthony) Buchholz of Bradshaw, Samantha Buchholz of York and Hayden Buchholz of Lincoln, Jordan Layman, Drew Layman, Hannah Layman, Jack Layman, Josh Layman and Mason Layman all of Lincoln, Abbi Costanzo and Joey Costanzo both of Omaha, Lyndsay Jensen and Lane Sorensen both of Aurora, Jonah Jensen and Arika Jensen both of Aurora; Great Grandchildren, Chloe Hubbard and Rylee Hubbard of Bradshaw; Brothers David (Noreen) Moravec of Georgetown Texas, and Bob (Nancy) Moravec of David City, Nebraska; Sister in-law Janice Buchholz of Lincoln and Pam Moravec of rural Seward and a brother in-law Bill (Joan) Buchholz of California. She is also survived by numerous nieces, nephews and a host of friends.